Alanine and Moringa Pterygosperma Seed Extract. 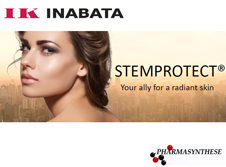 STEMPROTECT® by Inabata acts as an antipollution and anti-aging agent. Protects stem cells from oxidative stress, epidermal cells regeneration and collagen synthesis. It simulates DNA repair mechanism and strengthens dermal-epidermal junction. 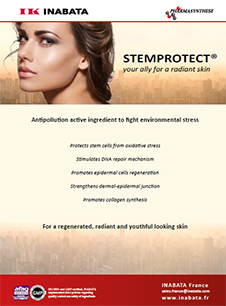 STEMPROTECT® is suitable for skin care and face care applications.